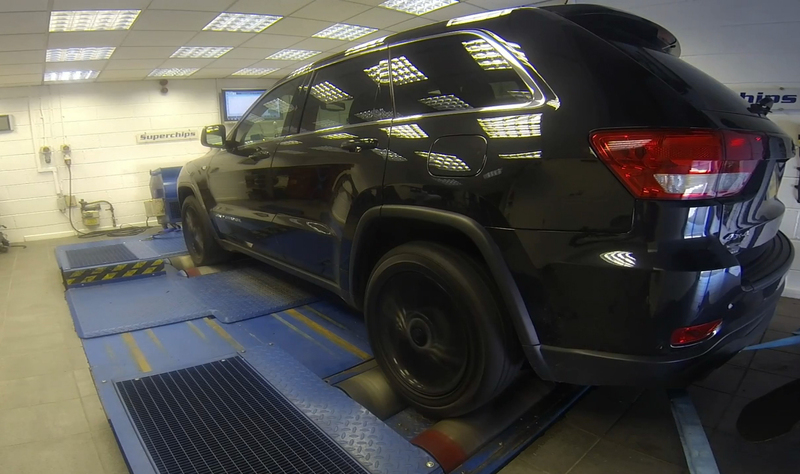 Global remap leader Superchips has introduced a conversion for the Jeep Cherokee, the self-acclaimed ‘Most awarded SUV ever’, according to the manufacturer. The latest offering from Superchips is for the 3.0 CRD turbodiesel engine, using the Bosch EDC17C49 management system. As with all Superchips conversions, the Jeep remap liberates additional power and torque; in this case, an extra 48bhp at 3226rpm with an impressive hike in torque of 109Nm at 2828rpm. This additional torque and its occurrence low down in the engine speed range means that the Cherokee will be more driveable, a useful property both on and off–road. The remap also offers a potential improvement in fuel consumption of up to 7% when driven in a comparable manner. The conversion is carried out by one of Superchips nationwide dealer network and typically takes around three hours. Customers can either wait at the dealer or drop off their car and return later to collect. The cost of the Jeep Cherokee remap is £365 including VAT and labour. The conversion is covered by Superchips’ 12-month/30,000-mile warranty*. 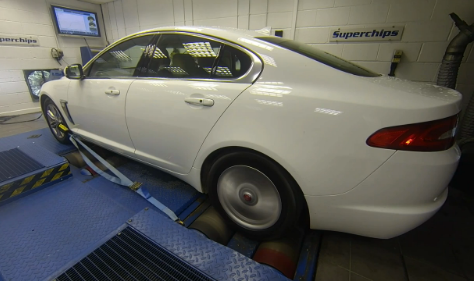 Having introduced a remap for the 200PS version of the Jaguar XF 2.2 i4 Td last year, global remap leaders Superchips has added a conversion for the smaller sibling, the 163PS version of the same engine. Promising similar excitement to the original, the Superchips remap increases both power and torque, as well as potentially improving fuel economy. The Superchips remap adds 34bhp to the four cylinder turbodiesel’s output at 3365rpm and a useful 71Nm torque at the same point, 3365rpm. The curves for the remap follow those of the original engine but shifted upwards, particularly from around 2000rpm onwards, meaning the car is stronger in the low speed range while offering improved performance throughout the engine speed range. In addition to increased performance, drivers can expect to see improvements in fuel consumption of up to 7% when compared with a similar driving style. The conversion can be applied either by one of Superchips’ nationwide dealer network or by the owner themselves, using Superchips’ market-leading Bluefin device. The cost of the conversion carried out by a dealer is £365 including labour and VAT while for the Bluefin, the cost is £399 including VAT.